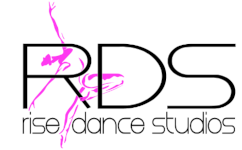 Welcome to Rise Dance Studios. Our Performing Arts training facility is located on the South Shore of Staten Island. Conveniently just off Rossville Avenue, it spans 1,900 square feet. The studio contains two dance rooms with state of the art sound systems and viewing windows. Our experienced and friendly staff seeks to provide the best possible dance education in an environment that is fun and nurturing. We hope to pass on our love and knowledge of dance while building self-esteem and confidence in each student. Please join us in celebrating our 11th year!